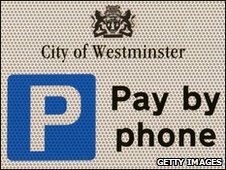 The news comes after Westminster Council, which has a £22m overspend on its books, set out a series of proposals that include raising parking charges. They would involve a 60p-per-hour pay-and-display increase and extending the period in which people are charged to park, from 6.30pm until midnight. Councillor Danny Chalkley, cabinet member for city management, insisted the changes were solely an attempt to tackle congestion. Asked whether the changes were proposed to plug the gap in Westminster's finances, Mr Chalkley said: "It's not correct that we are doing this to revenue raise, we are doing this to keep streets running freely." However, BBC London has seen an internal council briefing, dated 12 January, which makes it clear the "key drivers" for this year's budget include an attempt to address the overspend. The report continues: "Officers were asked to go away and look more closely at parking and community safety to find reductions or additional income. "The areas of parking and community safety have been earmarked to contribute the majority of the £14m [the sum Westminster says it needs to find]." Responding to the document, parking campaigner Barrie Segal accused Mr Chalkley of being "disingenuous". "This report is the smoking gun", he said. "The briefing document flatly contradicts [Mr Chalkley's] public statements." In 1995, a High Court judge ruled against neighbouring Camden Council, saying it could not use parking to raise revenue. 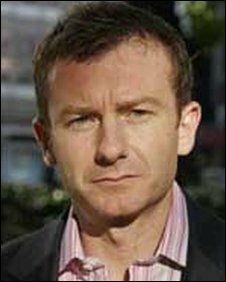 Mark Cran QC, the barrister who successfully brought the 1995 case against Camden Council, told BBC London: "It sounds as though the evidence is stronger in this instance than it was in the Camden case. "It appears on the strength of the evidence that Westminster may have a case to answer." Westminster Council's own analysis of the case reads: "The High Court was very clear that [it] did not allow the council in setting the charges for parking to take account of extraneous financial matters. "Westminster therefore cannot increase charges with the motive of generating income, though the generation of income is legitimate if incidental to the setting of charges for other reasons such as traffic restraint." Mr Segal said: "I find it truly astonishing that Westminster would set down in writing that it knows revenue can only be raised from parking if it is 'incidental'. "Then cynically, nudge-nudge wink-wink, they come out with a load of extra charges and say it is because of congestion." Paul Pearson, another parking campaigner, said: "Parking can not be used for revenue generating - and that is exactly what they are doing here. This report proves it." Westminster Council makes more from parking than any other London council and recorded a £35m profit from the account last year. Referring to the latest proposals, a spokesman said: "These are just options and the council's cabinet will make a final decision in due course. "This is not about generating profit for the council, which would be illegal, it is about dealing with the increasing pressures on our roads. "Every single penny of surplus income collected from parking is reinvested straight back into major transport projects." The spokesman accepted however, the 12 January briefing had been written by the council.